The West of Ireland - Galway, Connemara and the Aran Isles. Easy to explore Galway lies on the banks of the River Corrib, and is a haven to historic sights, restaurants and shops.The whole region of West Ireland is an unspoilt landscape of windswept mountains; dramatic cliffs and countryside dotted with pretty villages and lakes. We leave the Yorkshire area early on the Frday morning to Holyhead, to catch the fast ferry to Dun Laoghaire and then onward to our overnight stay at the luxurious Abbey Court Hotel. After breakfast we leave Thurles and drive via Roscrea to Limerick and stop to explore Bunratty Folk Park with Mac's Pub and the famous Durty Nellys Pub. After your visit, return to the coach for your journey into the City of Tribes - Galway. We settle in to the Days Hotel for five nights dinner bed & breakfast accommodation. A free day to explore Galway. 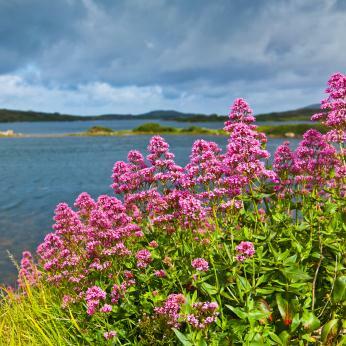 Today we tour Connemara and admire sweeping views of misty mountains and shimmering lakes. You will see sheep grazing freely and tracts of bogland where people hand-cut peat for home heating. Stop in Spiddal where you may hear locals chatting in the Irish language. 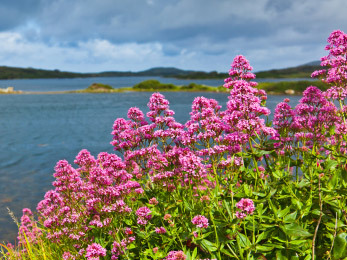 Continue to Clifden, a delightful town on the western seaboard. 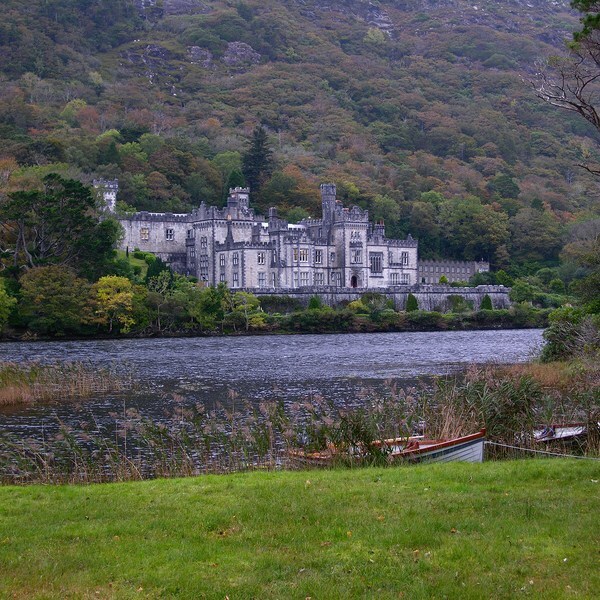 Visit Kylemore Abbey, a 19th century neo-Gothic mansion, which is now a prestigious girls school. Tour the exquisite chapel and reception rooms and stroll through the renovated Victorian gardens. In Moycullen watch skilled craftsmen cutting fine crystal at the Connemara Celtic Crystal Factory. Travel through Ennis and part of the Burren country. 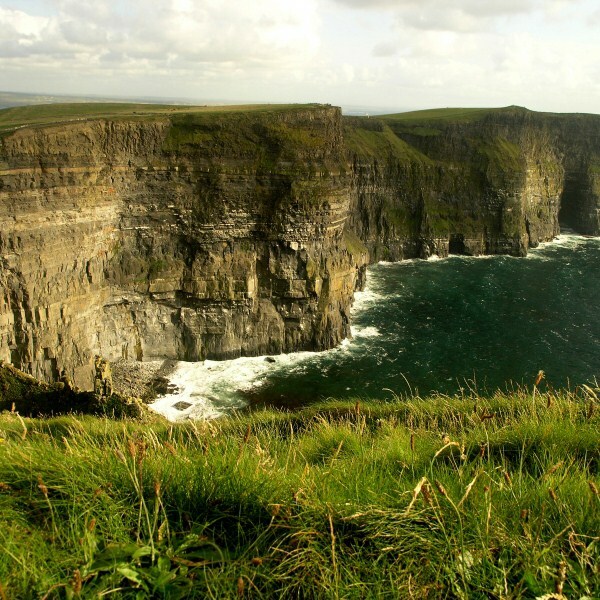 We stop to view the cliffs of Moher, an impressive wall of rock that rises nearly 700 feet above the open Atlantic Ocean. The Burren is an area of extraordinary limestone hills where many unique wildflowers thrive. Continue your drive via Corkscrew Hill to Ballyvaughan and around Galway Bay to arrive back to your hotel in Galway. Drive to Rossaveale to take a ferry as foot passenger to Kilronan, the principal town on Inis Mor, the largest of the three Aran Islands.Take a tour of the Island with a local guide. Stop to view the prehistoric fort of Dun Aonghusta, teetering on a cliffside over the ocean. When you return to Kilronan, have some time to enjoy before your return ferry to the mainland. Continue back to the hotel in time for dinner. We depart Galway after breakfast, drive via Tullamore to Kilbeggan visit Locke's Distillery, the only remaining 'small pot' distillery in Ireland. Stop off in Athlone, which is steeped in history.Visit the Athlone Castle Visitor Centre. The centre features exhibitions and audiovisual presentations of John Count Mc Cormack, the Story of River Shannon and Military History. Then we make out way back to Dun Laoghaire and onward home to Yorkshire. Explore Galway famous for its Oyster Festival, which has enjoyed a renaissance in recent years. Perhaps take a walk along the Old Quays to visit the Spanish Arch and the Claddagh, which pay testament to Galway's maritime history, or visit the Cathedral of St Nicholas with its ornate marble floor. Spend time in Eyre Square, a relaxing spot, amongst the maze of streets offering a variety of shops, pubs and restaurants. Alternatively you may wish to visit the Galway Irish Crystal Heritage Centre.